My name is Sara Dahlgren, and for those of you who haven’t read it before, I came here two weeks ago to do my internship with Josefin. The internship is a part of my education and this was my last one before I graduate. This time it felt like it was time to try something different so I didn’t choose a hotel unlike my previous internships. As we sat and looked around we fell for the idea of an internship at a dive Centre. 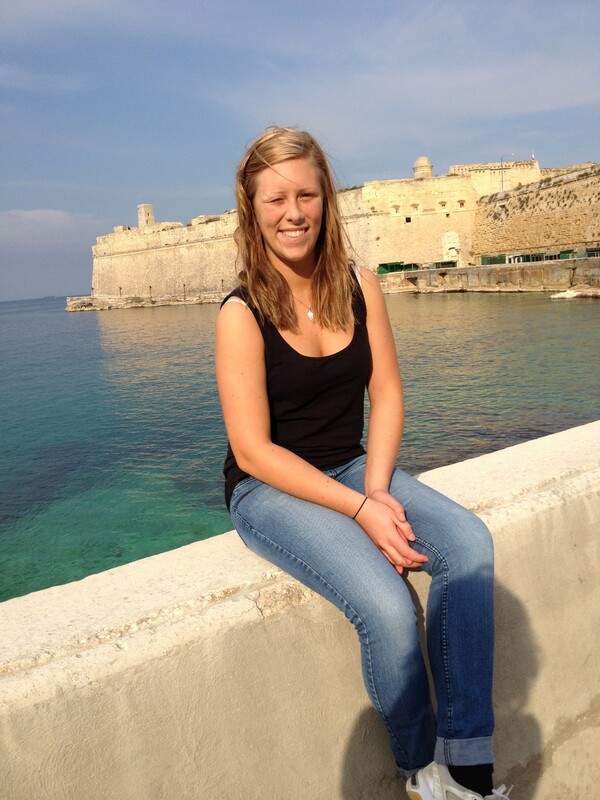 Before this trip I had never been to Malta before, unlike Josefin. And since she always talked so good about the island, we decided to check out the diving centers on the island. After looking around what the island had to offer, Divewise was the one we settled with. We looked through their website, looked at pictures and decided to email them. This is really not anything I regret. On the contrary, I’m very happy and satisfied. When we first were on our way here to introduce ourselves and ask some things about what we would do during this two weeks, what time we would be here and so on, we became a bit nervous. We had no idea what was waiting around the corner, they might not even know that we would be there during the two weeks; they may expect that we would know how to do everything already and etc. That’s not how it felt like when we arrived here. When we came we got a tour and a little information about the different courses that you had the opportunity to learn here (which were very many from my point of view). During these two weeks, we have been well treated by the staff and learned many new things about diving. We got to do Discover Scuba and thanks to all of this and the chance to knowing how everything works, I have decided to move on with my diving this summer. I can honestly say that everything that they’ve taken care of now, everything from paperwork to group dives and briefings was much more than I expected. I think there are many more than just me who thinks that a diving instructor go diving with some different groups every now and then but it’s so much more to be done! But now it’s time to go home, and soon leave this wonderful island. But I’m not saying goodbye, I say see you soon. Next Next post: DSD Time!! !